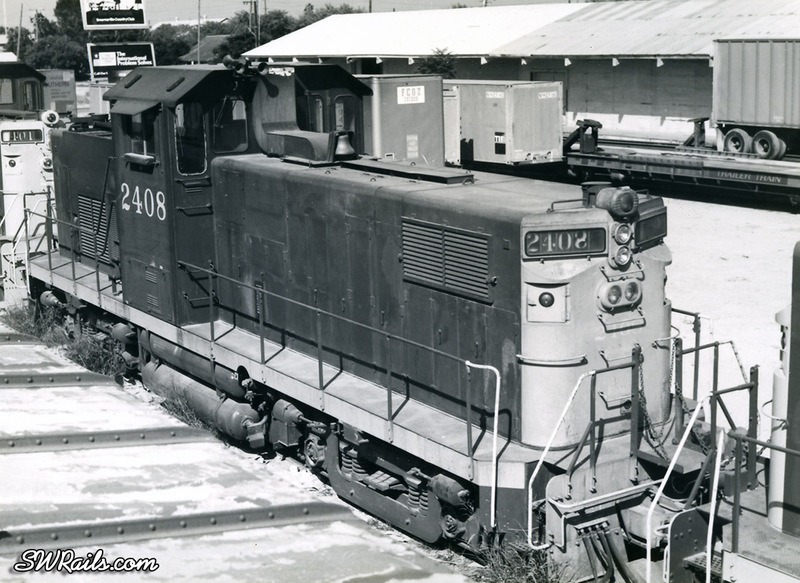 The SP, long a faithful Alco customer, acquired 10 C415 switchers in 1966. 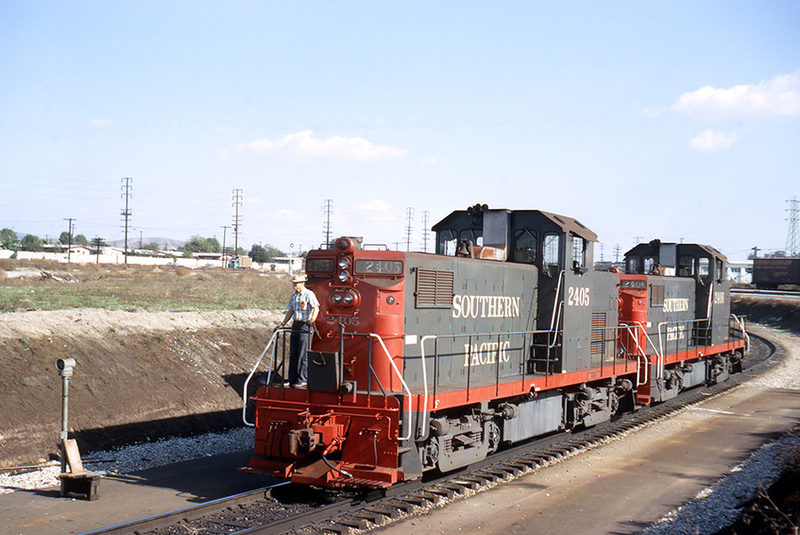 Numbered 2400-2409, they operated from SP’s yard at City of Industry in pairs throughout the LA Basin. 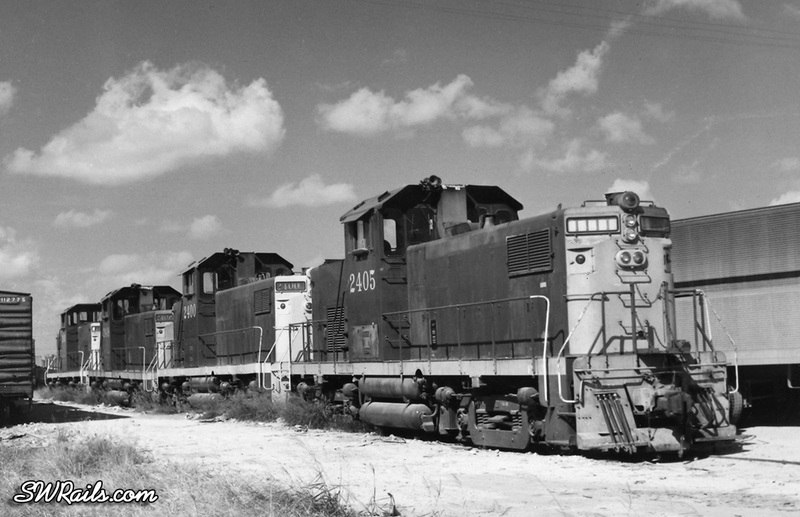 The 10 units were prone to mechanical problems and were retired by the SP in 1977. I had driven from McAllen to see if the SP had anything going on in Brownsville. Nothing was running, but as I explored I came across an amazing sight. Four ex-SP C415’s were on the Brownsville team track. I’d never seen engines like these, so I got busy with my brand-new Minolta SRT-202. Unfortunately, I had been persuaded by a railfan magazine that B&W was the only proper way to document locomotives, so I did not take a single slide of this scene. At least I had the sense to use a red filter on some of the shots so the B&W film could capture the contrast between red and gray colors. 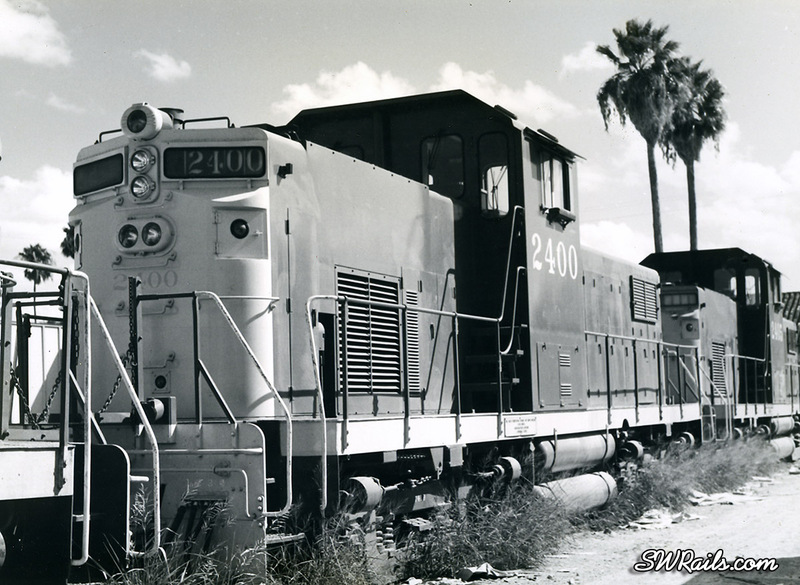 Note the Southern Pacific Motor Freight truck in the background-when the SP did it all! 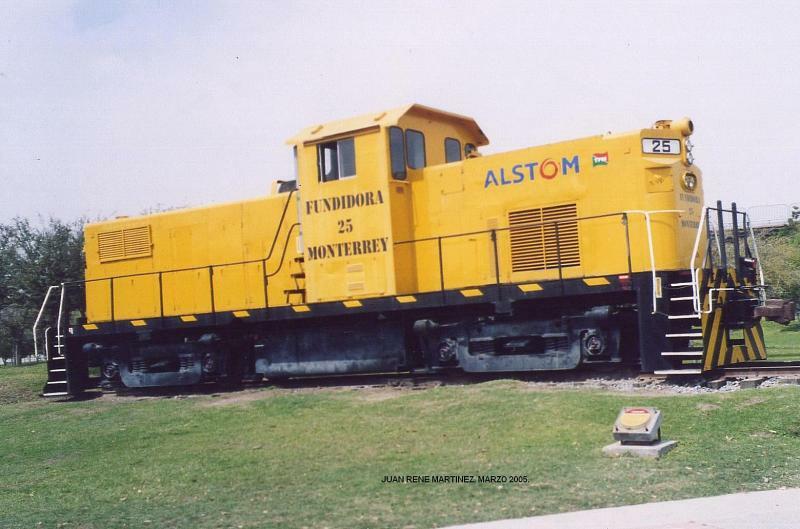 I later learned that the 2405, 2400, 2408, and 2401 had been sold to Fundidora Monterrey, a steel mill in Monterrey, Mexico. They were in parked in Brownsville awaiting clearance from Mexican Customs. Note the old-school SP light package: headlight, oscillating headlight, oscillating red emergency light, and 2 class markers. I don’t need no stinking ditch lights! This photo was taken without a red filter. Notice how red and gray register as one shade of gray. Fundidora Monterrey closed down in the early 1990’s, and the site was re-developed into Fundidora Park. It includes an amusement park, water park and other attractions including a museum where one of the ex-SP C415’s has been preserved. Incredible….just incredible….The scenery around the C415’s changed dramatically. At first, it was impossible to repicutre the scenery except the SP #2405 Second Shot gave the station away. The valley may be considered boring, but it’s incredible how so many opportunities and intresting things go by. I hope you have some shots of Weslaco! I was still using a bicycle for transportation in Victoria when your pictures were taken and I would give it a good bet that these locomotives moved through Victoria on the way to Brownsville. 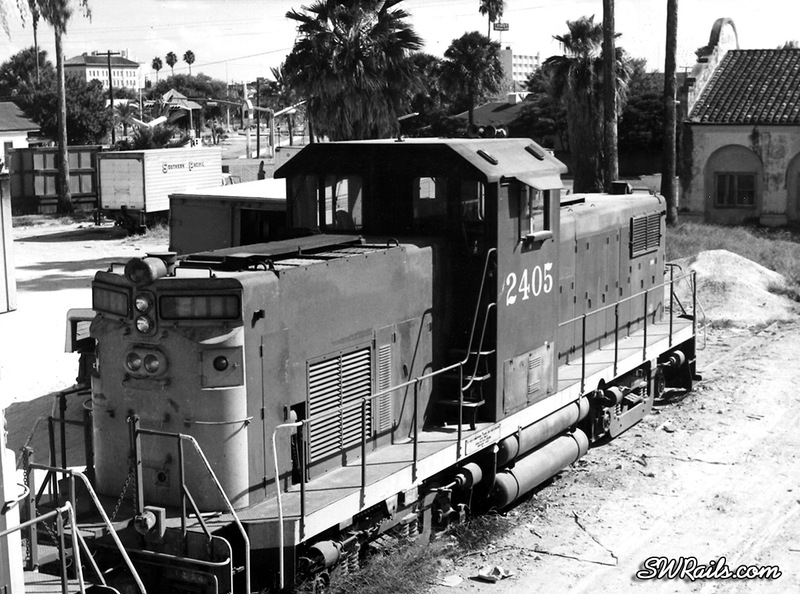 NdeM equipment was quite often delivered via Victoria and the job to Corpus Christi with its connection with the Texas Mexican at the “Joint Yard”. In 1978 or so, the ALCo PA’s from Delaware & Hudson went through Victoria as well as some C628 & SD45 units. 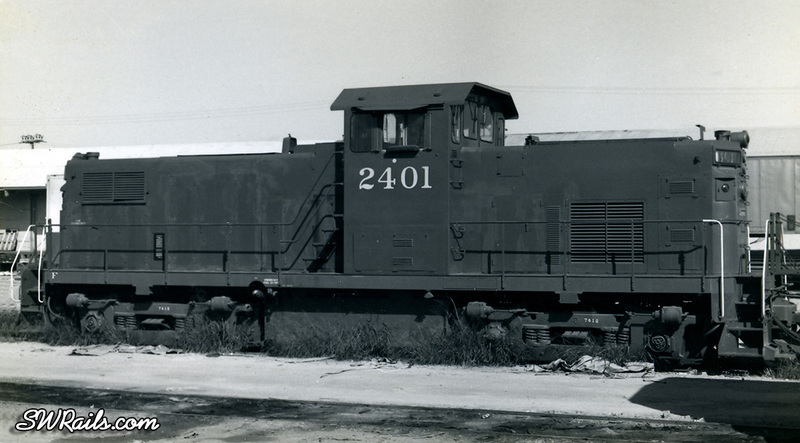 Usually the sold locomotives were coupled behind the SP locomotives for weight reasons. Don’t you just love how SP maintained their tracks?